Whether you’re in need of an Oppo Repair or Screen Replacement, Phone Ninja is Perth’s destination of choice. We have carried out over 30,000 repairs since opening back in 2009, so your Oppo is in safe hands. We have stores right across Perth, so we are never too far away. Our commitment to sourcing only the highest quality parts, and taking care with your device means you will have your phone fixed right, the first time! While Oppo screen repairs comprise the majority of the work we perform at our stores, we also fix many other issues such as battery problems, charger port issues, broken cameras and much more. Our aim is to be affordable as possible, but never waiver on our high-quality standards. Thankfully if you do find a cheaper price in Perth, we’ll beat it! We also list all our prices online, so there are no nasty surprises when you get to our stores. Speaking of our stores, they are all conveniently located on main streets with simple off-street parking, so you won’t have to navigate through shopping centres to find us. So if you want your Oppo repaired like new, come into any of our stores or contact us today. 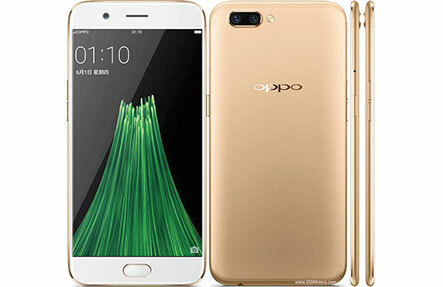 Oppo have muscled their way into the smart phone market, with cost-effective models that don’t sacrifice anything in terms of quality. Sadly, like all phones they can break especially when dropped, a factor that has made Oppo screen replacements one of our most sought after repairs. At Phone Ninja we won’t wipe your data like other repairers so you’ll keep your precious photos, messages, and media. We also offer a full 3-months warranty on all our Oppo repairs, on both our parts and workmanship, which we and our customers think is top-notch. We ensure that all our Oppo screen repairs will have the same feel and look as the original screen. This is because we use only the high quality spare parts in the market, something other stores in Perth can’t match due to their inexperience & cost cutting measures. So what are you waiting for? Get down to any of the Phone Ninja stores to have your Oppo repaired like new today! Copyright 2016 Phone Ninja, All rights reserved. All other trademarks & copyrights are owned by their respective owners. We are an independent phone repairer and not affiliated with Oppo Inc. in anyway. All our Oppo repairs use compatible or refurbished parts only. None of our repairs, products, or parts are official nor endorsed, authorized or refurbished by Oppo.